Amazekids is thrilled to bring you the absolute best, collapsible, rubber, fake fruit on the market. Custom molded and hand painted by a Hollywood FX artist in his own shop, this latex orange looks like the real thing. But it collapses nearly flat and then expands when you need it to. That means it's a perfect load for a square circle, temple screen, or a production box. It'll fit in your pocket without that tell-tale bulge, so you can steal it deceptively, producing it from under a scarf. Best of all, it looks real, even when sitting in your fruit bowl. Great as an April Fools' Day gag too! If you're a magical story teller, consider using it to illustrate Eric Carle's The Hungry Caterpillar. 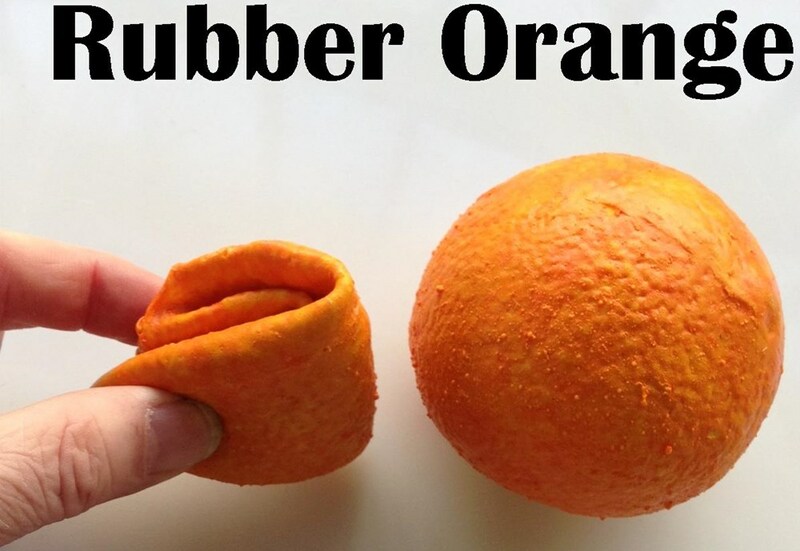 The possibilities are endless with this Rubber Orange. Get a few, or mix and match with the Rubber Banana, Lemon or Walnut for an even stronger impact!